From the powerful, pounding waves of the North Shore, to the gentle break in Waikiki – whether you enjoy the crowds or prefer isolation – there is a on Oahu beach just waiting for you. Learn to catch a wave like a pro! 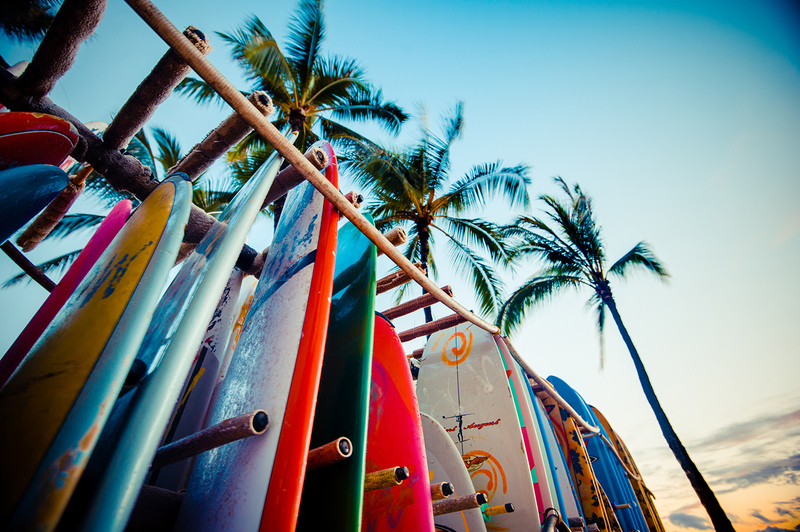 Waikiki Beach has always been a favorite spot to surf, even Hawaiian Royalty used to flock to Waikiki and glide along the waves. Boogie board more your style? Head to the Windward side for some of the island’s best tumbling waves. 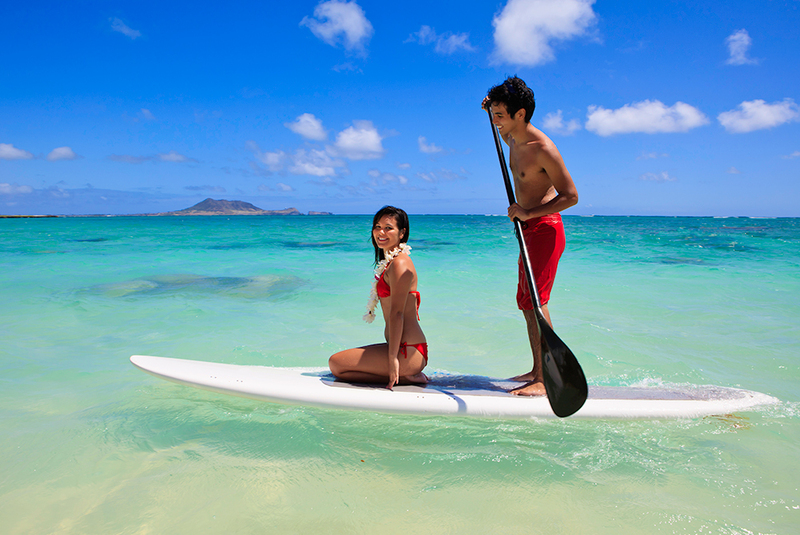 The picturesque Lanikai Beach is ideal for practically every beach-type of activity there is. Go for a soothing stand-up paddle session or Kayak to the twin Mokulua Islands. 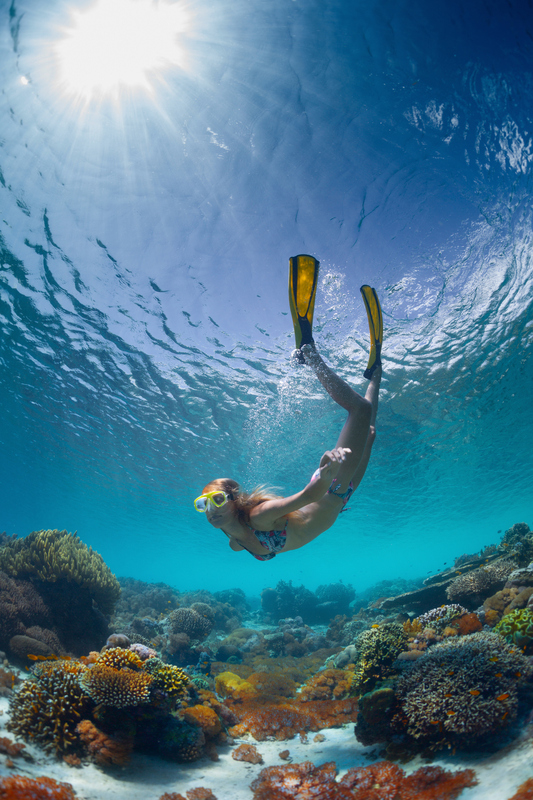 This nature preserve hosts a myriad of tropical fish and other marine life. Along with major restoration to Hanauma Bay, which included a newly opened Marine Educational Center, other tactics have been put in place to further preserve the area for future enjoyment. Tactics such as closing the bay every Tuesday and educating visitors on preservation have kept Hanauma Bay pristine and a must-do activity on Oahu.